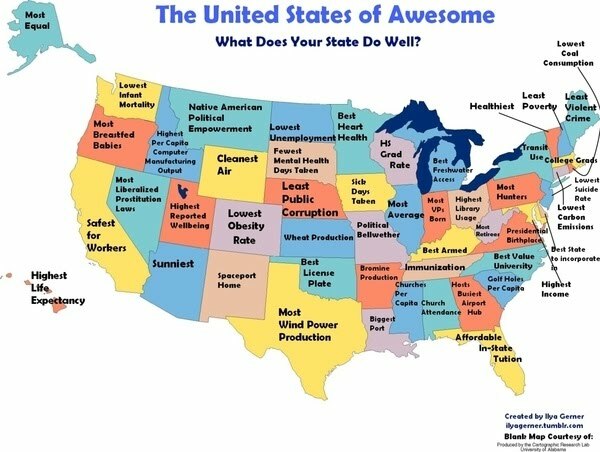 Tweet We saw the United States of Shame that told us what our states are known for being bad at, then there was who cusses the most, and now we have the United States of Awesome. What is your state GOOD for?! The small/less condensed states' reputations make me giggle.